After the meeting in Noord Brabant we took Ivy with us to Germany. This report will describe the very intense days we had from 29th May to 2nd June. 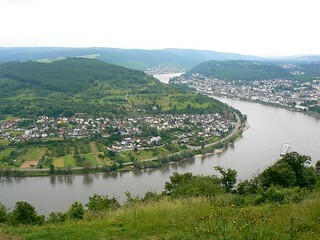 We drove on the highway over Eindhoven and Venlo to Germany, passed Mönchengladbach and headed towards the Rhine Valley. 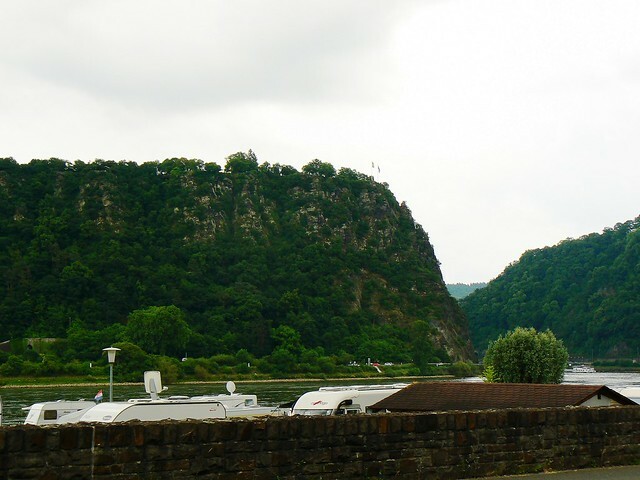 In Remagen we reached the Rhine, left him again to cross the Mosel highway bridge and returned to the great Rhine bow at Boppard, where we had lunch. Ivy, please fill the report with your pictures, as a tour guide, i don't feel able to take pictures so i have just a very few. Last edited by Ralf__; July 17th, 2014, 11:26. Reason: Not Arnheim, Remagen. Wow, Ralf, you have taken me by surprise! At your command, I'll get going. where the hell lies Arnheim in Germany?? OOOPS! Remagen!!! They had also such a bridge.... Sorry. Time to start this thread. Ivy, since i did not really take much pictures (like i always don't, when i am the guide), i would propose that i will post some maps and describe where we went to and you will fill in your pictures and your impressions?! We started our trip in Woudrichem and crossed Thijs's country on the many highways they have and on a well-known route for him. In Venlo we crossed the Dutch-German border, which is not to see anymore except of a small sign beside the road. In Germany we passed Mönchengladbach and Cologne on the highway. Nothing special to see here except of more and more dense traffic due to the long weekend. 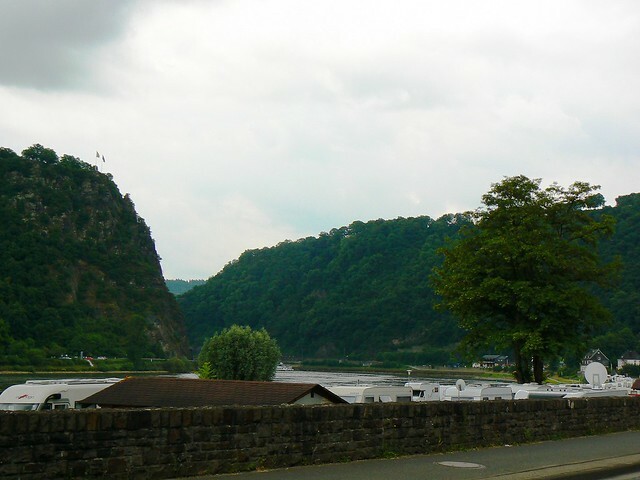 Near Euskirchen we came into a severe traffic jam and i decided to leave the highway and drive over to the Rhine valley near Remagen. 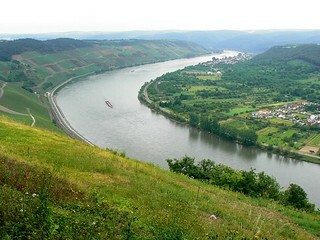 We followed the river until Koblenz and changed then back on the Highway. 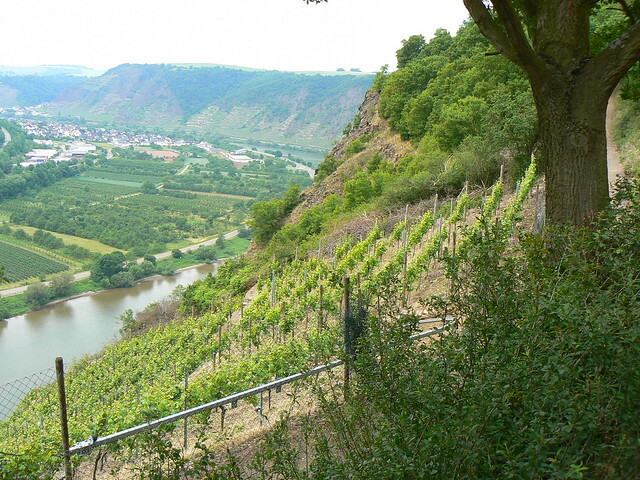 We had our first stop at the Mosel Valley highway bridge (first circle) with impressing view in the Mosel valley and its wineyards. I am sure, Ivy is able to show some pictures of this place. 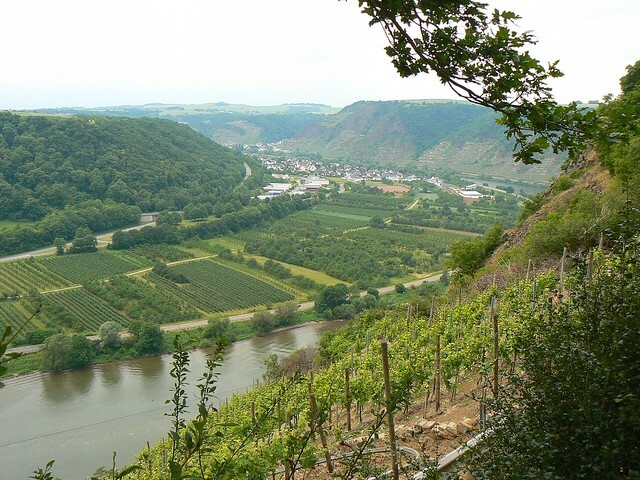 Then we had a short ride to the Rhine Valley and the Gedeons-Eck restaurant above Boppard (second circle) with the fantastic view over the big Rhine loop. Here we had a soup as lunch. On one hand it was very difficult to say goodbye to Thijs, who had worked hard to give us such a wonderful time in the Netherlands, yet on the other hand I was excited because Ralf had invited me back to his home in Stuttgart and this would be my first visit to Germany. The first part of the drive was a maze of roads, roads and more roads - plus traffic - until we reached Venlo, where we crossed into Germany. I did wonder whether I should wave my passport out of the window as we swept across the (non-existent) border, but thought that as I had been allowed to enter one Schengen country then they would suffer me to roam where I wished. Ralf confirmed that this was so. But all the same I bet the Dutch surveillance cameras had us in their sights! When we were at the planning stage Ralf and Thijs had agreed that the Mosel Valley bridge was a must. Thijs knows it well as he sometimes drives to that area and one of the first questions he asked me after I had returned home was whether we had gone to the bridge. 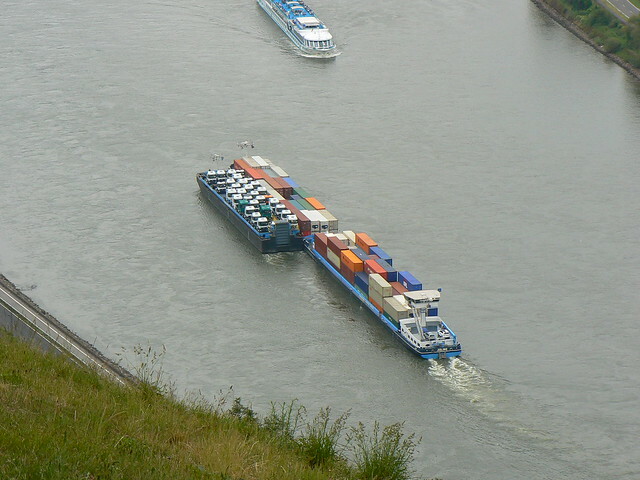 After our brief stop at the bridge, it was back into the car and then on for a short distance from one river to the next - the Rhine. I have seen much of this river - under different names of course - during my travels in the Netherlands, but here I was in its "home territory" of Germany. 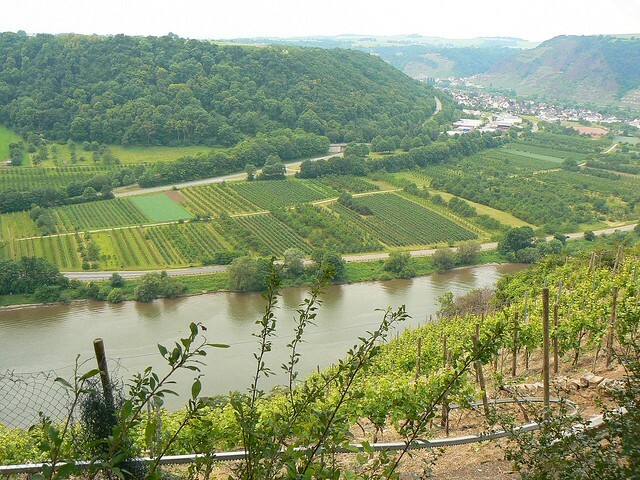 As Ralf said, our next stop was at that great restaurant near Boppard. What a situation, what a view! I will post my photos of that view next, a.s.a.p. Can you spot the new Highway Cruiser? No, because Thijs' boss did not order yet. But if there will be a new one in the future, the truck will be transported this way. for the first 4 years the change is little to get a new one,he's just 3 years old now. but many 3axles trucks there. we paused there to make images,it was the first time i stopped there,but what a view. another view i likes so much ,was gooing back again to Holland.driving north. on map 4 of post 4 just for the bridge the highway makes a big left turn (near the L208 sign) the last piece of that turn i got a view to the bridge, sideways. the last time i was there,there wassn't much to see anymore,the bridge is still there but so much trees and bushes near the highway now,that you can't see the bridge anymore. Yes, Thijs, I remember when you and Ralf were talking about it, you were saying that the bridge itself is not visible any more because of the trees. But isn't it beautiful there?! I wasn't attempting to do a proper panorama for later stitching, but wanted to get it all in one view as near as possible. It was all just superb. Last edited by wherrygirl; October 13th, 2014, 10:43. 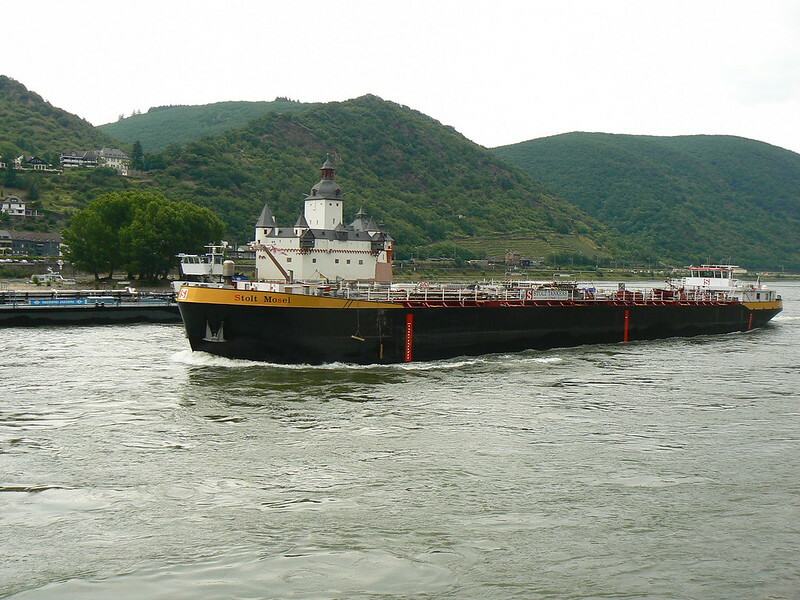 And my dear Ralf, what makes you think that Thijs' next truck will be sailing up the Rhine? He's rather partial to Daf's, you know! And this is our table at the restaurant from where I took the previous views. I showed this image in the Meetings and Family Photos thread but it has a place here too. Here we had that delicious soup that Ralf mentioned. 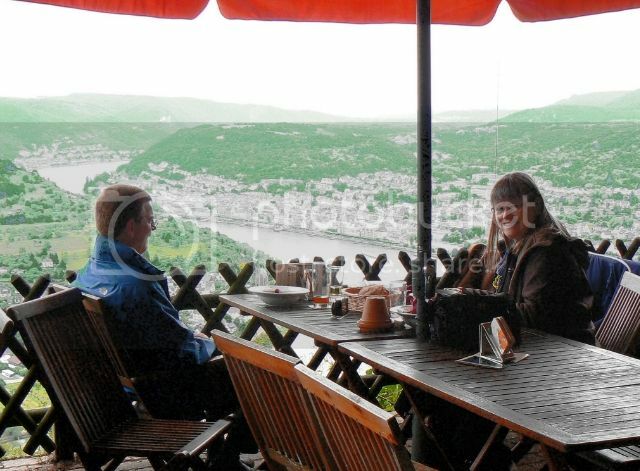 It was such a beautiful spot and I could have happily sat there for much longer savouring the view of the Rhine, almost pinching myself that I really was there, and not just in a dream. But I knew we would have to be moving on, with still a good way yet for Ralf to drive before we reached home. Last edited by janihudi; October 11th, 2014, 14:21. Here we call people from Birmingham "Brummies". Do you know why they call you that? Last edited by wherrygirl; October 11th, 2014, 16:01. After our lunch it was time to move on, though I could have sat there for much longer, absorbing the view. But a surprise was in store for me. Although according to Wiki it is not! Reading there, I learn that the story of the beautiful maiden came into being as recently as the early 1800's through various German writers, and was taken up by several composers including Mendelssohn, who began an opera based on the story although apparently he died before it was finished. Another site describes the legend of a beautiful maiden named Lorelei who, being disappointed in love, threw herself despairingly to her death in the river. (I'm blowed if I would! ) She was transformed into a siren and, perched on her rock, would entice unwary sailors to their death with her beautiful singing. Not looking where they were going, presumably. Serve them right. 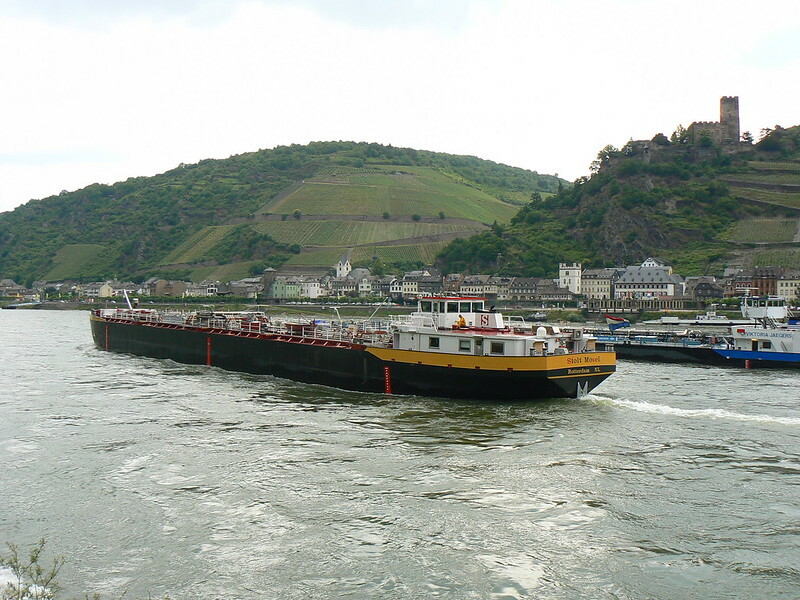 The rock is at the narrowest part of the Rhine between Switzerland and the North Sea, continues Wiki, and the very fast currents at that point together with the sound of a nearby waterfall cause an echo which is unfortunately drowned out by present-day traffic noise. The currents and also rocks below the surface have been the cause of several shipping accidents. (I said those bewitched sailors weren't looking where they were going!) But it was a beautiful spot, despite all the traffic, and I just wish that we had had more sunshine to light up the photographs. We went on down the valley until we came to Kaub.